pack your order, distribute it, and warehousing. Providers at this level do not generally offer 3PL as their main activity. The Service Developer offers all of the above with additions such as tracking and tracing, cross-docking, or providing a unique security system. The Customer Adapter comes in and basically takes over control of the company’s logistics needs. However, this type does not develop a new service; rather, they work with the current service in place. The Customer Developer is the highest level of 3PL. At this level, the 3PL integrates itself with the customer and develops custom logistics solutions for that customer. Typically, this type of 3PL has few customers in order to provide the highest service possible. Whether you are a new business just getting started or a well established company looking to outsource the logistics of warehousing and delivery, 3PL could very well be a viable solution as opposed to handling logistics in-house. 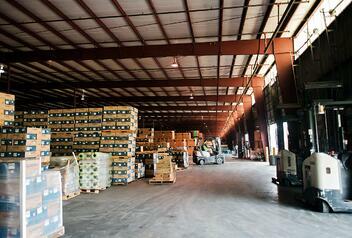 Most 3PL firms can handle any size or type of warehousing and distribution needs. What should you look for in a 3PL firm? Once you have learned the different types of 3PL, consider your logistical needs carefully. Be sure to take into consideration not only your current needs but future needs as well. Research the 3PL firms in your area and take into consideration your company’s needs. If the bulk of your product is only distributed locally, there is probably no need for a logistics company that promotes international distribution. If, on the other hand, you regularly export product, then you would want a company that offers more than trucking solutions. Should you be very limited on warehousing space, a 3PL with acres of warehouses and carefully thought-out security measures may be more important to your company as opposed to faster shipping. There are many advantages of outsourcing 3PL rather than handle logistics internally. The first, most obvious advantage is the ability to focus on product rather than warehousing and shipping issues. Secondly, by outsourcing to a 3PL, less physical space is needed to house product. Third, most 3PL’s offer security features in their warehouses which help to limit theft and damage. In Savannah, there are many choices for logistics companies; consider your product, consider your shipping needs as well as any security issues, and choose not only for current needs but future needs as well. How does a company look for a 3PL firm? Once you have determined your logistics needs for your company, it is time to begin looking for a 3PL firm. Port City Logistics is an established, reliable logistics firm in Savannah, GA, which offers affordable logistics services to business of all sizes. Call us today at 912-298-7150 or fill out an online contact form and we will get back to you within 24 hours. We look forward to serving your business!